Colostrum (a.k.a. mother's milk) is a highly nutritious milk that's produced in the later stages of pregnancy and immediatly after birth by all mammals for their young. The type that is used as a supplement comes from cows (bovine colostrum). Colostrum has a wide range of beneficial health properties, from bolstering the immune system to improving muscle gains when working out. 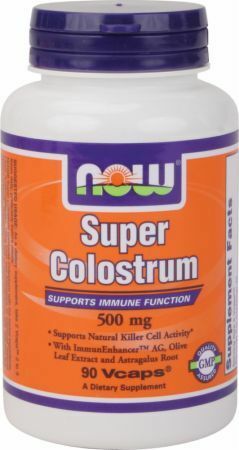 Colostrum is primarily taken as an immune system booster. It has become popular in recent years as a natural alternative to the flu shot. It is also taken to desensitize the body to a variety of allergens. The second most popular use is as a workout and athletic performance supplement. 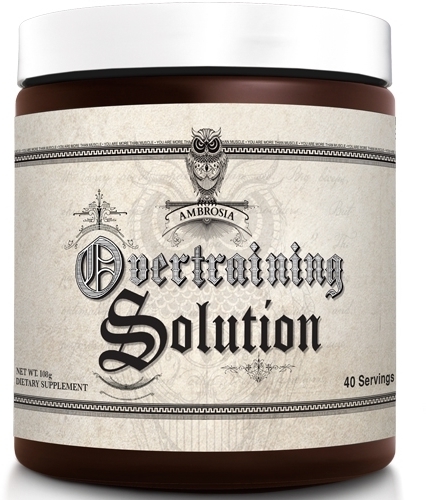 It's taken to promote the growth of lean muscle, speed muscle recovery, and increase athletic strength and endurance. 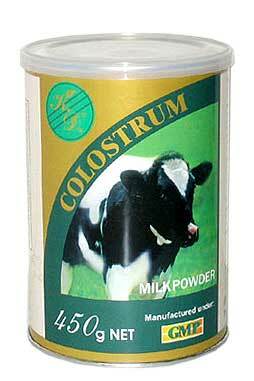 Colostrum is also sometimes taken for a variety of other conditions. It's been used as an anti-inflammatory, as a regular supplement to fight aging, for asthma, and even for Alzheimer's. 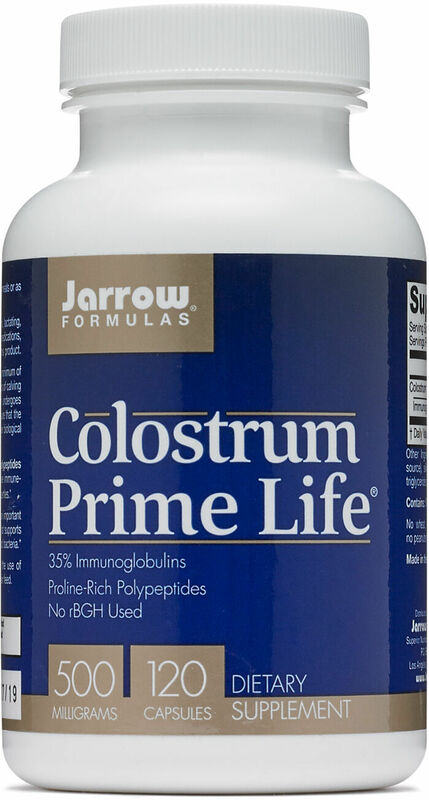 Colostrum is very high in lactoferrin, which is used for treating a number of gastrointestinal disorders and is a potent antioxidant. The main benefits of colostrum seem to be its effectiveness in preventing flu and use in treating patients with immune system disorders. While it has been studied for its role in preventing or treating allergy symptoms, the research is still inconclusive, at best. A 2007 study conducted in Italy compared two months of oral treatment with colostrum to standard flu vaccination. The study found that colostrum was three times more effective in preventing the flu than a vaccination shot. Benefits for allergy resistance is less clear. 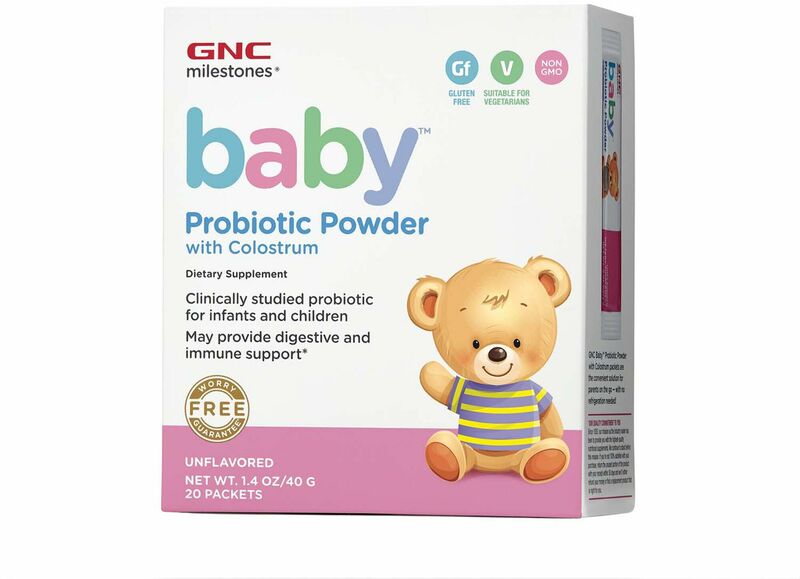 Studies have found that mother's milk likely plays a role in helping infants develop immunity to a wide range of allergies, but there is less conclusive evidence that taking bovine colostrum imparts any extra protection against pollen or dander allergies. A number of studies to date have found that colostrum contains antibodies against many common environmental allergens and that it contains immunoglobulins that control allergic response. [8, 9] However, there are no direct human studies as of yet showing a link between bovine colostrum supplementation and improvement in resistance to hay fever, seasonal allergies, or food allergies. Research has found colostrum to be effective in treating infectious diarrhea in children and people with compromised immune systems, particularly HIV patients. The FDA has given it "orphan drug" status for treating diarrhea caused by AIDS. 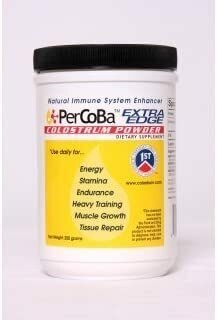 Colostrum is taken to promote lean muscle growth, speed muscle recovery, and increase strength and endurance. A 2007 study in the journal Nutrition found an increase in fat-free mass in those taking colostrum with creatine, versus those taking a protein supplement alone. The gains were also improved over those taking protein and colostrum together, indicating that creatine is crucial for seeing significant improvement in muscle growth. A 2002 study found that colostrum supplementation improved recovery time in running training. A similar study that year found that it increased time trial performance in cyclists after a two hour ride. Yet another study that year found that it improved sprint performance, as compared to a whey protein supplement, in elite field hockey players. 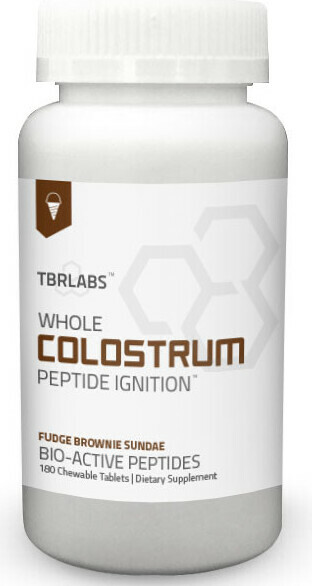 Colostrum is not regulated by the FDA and does not have an established RDA. Benefits in the athletic studies were seen with consumption of 60g per day — which can be insanely expensive — mostly in conjunction with whey protein. 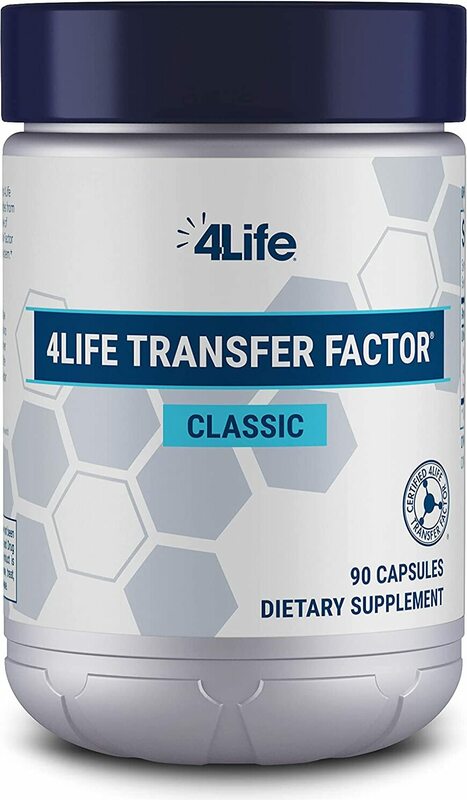 Supplement manufacturers usually suggest a dose of 3g to 6g per day for other health benefits. 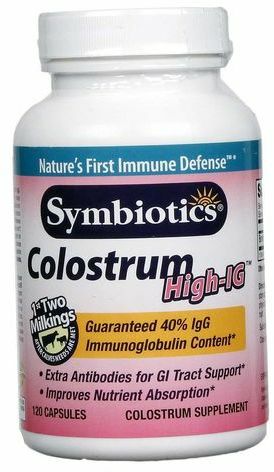 Colostrum is sold in capsule and powder form. If you intend to use it as a workout supplement, powder will likely be more economical and easier to work with as you'll want to blend it with whey protein and creatine for maximum benefit. In rare cases bovine colostrum may cause minor rashes, gastrointestinal discomfort, or flu-like symptoms. Since it's essentially a form of cow's milk, bovine colostrum has little in the way of potential health issues except possibly if you're lactose intolerant (colostrum contains low levels of lactose but is not entirely free of it). Its only major disadvantage is in terms of price, relative to other supplements that provide similar benefits. For example, while bovine colostrum may provide better muscle gains as a protein supplement, as compared to whey protein, it's usually too expensive to entirely substitute. Always consult with a doctor before beginning any new program of supplementation or exercise. While a human mother's milk in the period just after childbirth is technically a form of colostrum, as a supplement, it's not regulated by any health agency. Always consult with a doctor before beginning any new program of supplementation or exercise. 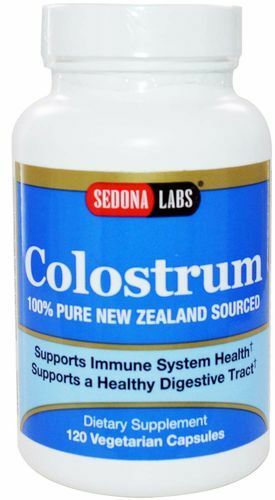 Colostrum is often marketed as a cure for "leaky gut syndrome," a condition that sellers of the supplement usually claim is caused by the modern Western diet and weakens the intestinal lining, allowing bacteria to more easily penetrate. This is not recognized as an actual medical diagnosis or condition by many healthcare professionals and there are no scientific studies to validate this claim. 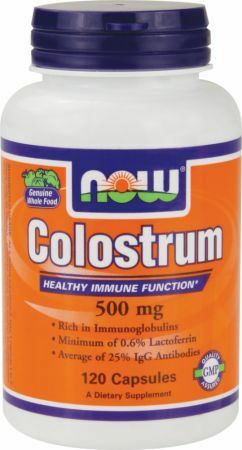 Colostrum is available right here at PricePlow and at 30% to 50% off of retail prices. You may be able to save on sales tax, too (depending on your location). Sign up for future Colostrum news! 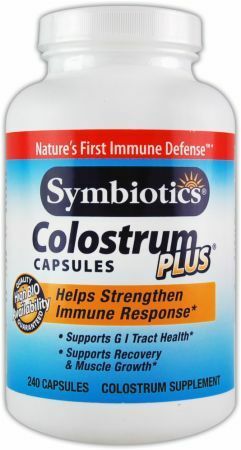 Click the button below to sign up for future Colostrum news, deals, coupons, and reviews! Sign up for future Colostrum deals and coupons! Click the button below to sign up for future Colostrum deals, news, and coupons! Subscribe for more Colostrum news and alerts! Subscribe to PricePlow on YouTube or click the button below to sign up for our latest Colostrum news and reviews! $21.27 This is a Buy 1 Get 1 FREE offer!